Infinity Blade on the iPhone looks damn good. And as of Thursday, anyone will be able to make a game for the iPhone, iPod Touch or iPad will be able to make a game using the same graphics technology. The iOS version of the Unreal Development Kit will be free to download some time this Thursday according to a report today in the Wall Street Journal. The Unreal tech, which, like Infinity Blade, is made by Epic Games, is a variation of the same graphics programs made for PC, Xbox 360 and PlayStation 3 titles, from Gears of War to Mass Effect to Enslaved: Odyssey to the West. This is no surprise, really. This is how Epic works. The company is at least as much a graphics technology maker as it is a game development powerhouse. Epic creates graphics engines and licenses them to other companies which can then build their games using Epic's tools. Traditionally we've seen Epic get the most of their engines for their own games. In fact, Epic's games have been showpieces for Unreal tech. Gears of War and Gears of War 2 each showed off iterations of Unreal Engine 3. 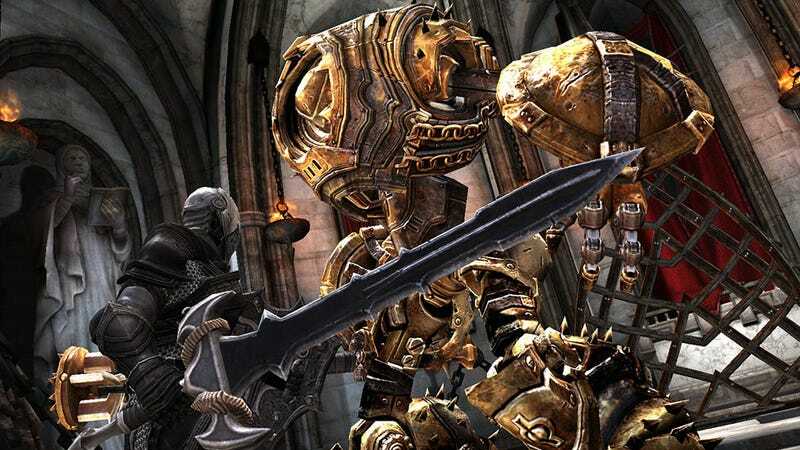 Infinity Blade shows off the power of Epic's tech on iPhone, iPad and iPod Touch devices. Those who want to make games for the iOS version of Epic's graphics technology will be able to get it for free but will "have to pay a $99 licensing fee and 25% royalties after the first $5000 in sales," according to the journal. The most formidable rival to Epic's iPhone graphics engine is the one powering Rage HD. That game was crafted by a team lead by id Software's Doom co-creator John Carmack. Outside developers won't be able to use that technology, though. Carmack told Kotaku recently that his parent company, Zenimax, is not interested in licensing the technology to outsiders. The release of the Unreal Engine for console game produced a flood of games running, for better and worse, a similar graphical style as Gears of War in recent years. We'll see soon whether we got a lot of Infinity Blade lookalikes. It wouldn't be such a bad thing, right?